Do you want to witness the stunning ghats in India apart from those in Varanasi? Do you want to explore the ancient industrial hub of India? If yes, then this is the destination is definitely meant for you. Kanpur is a popular touristy city situated on the banks of River Ganga in Uttar Pradesh. It is fondly called as the ‘Leather City of the World’ due to the large number of leather industries. It is also nicknamed as the ‘Manchester of East’ as it was a prominent centre to witness the beginning of Industrial revolution in India. It is also known for religious, historical and commercial importance. Travel to Kanpur for sighting the country’s finest Zoological Parks, enjoying family time in picturesque gardens and witnessing the exotic and historic ghats. Bird-watchers can have a good time in the Allen Forest Zoo while adventurers can go for boating in the lake. Formerly called as Cawnpore, the History of Kanpur suggests that Shuja-Ud-Daulah, the Nawab of Awadh transferred the city to the Britishers under a treaty signed with them in 1801. For years, the Kanpur remained as a military garrison for the British. Over the years, it also gained importance for being the hotspot for literary and independence movements in India. Do not miss tasting the famous non-vegetarian delicacies like Chicken Dum Biryani and Chicken Curry. They taste simply awesome and are cooked with fiery North Indian spices. The cuisine of Kanpur is similar to the cooking style of Punjabi and Hyderabadi dishes. 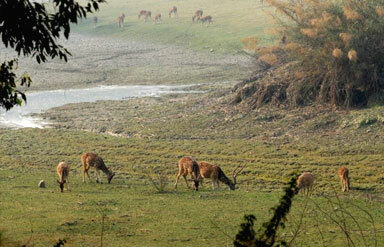 Also called as Kanpur Zoo, it is situated at a distance of nearly 2 km from the main city. It was set up in 1971 and is named after the famous botanist called Sir Allen. It is one of the few zoological parks in the country which is created in a natural forest. Its fauna family includes animals like Cheetahs, Black bears, Sloths, Monkeys, Hyenas, Jaguars, Orangutans and similar more. Mangal, 30-year-old Orangutan is a special attraction of the zoo. Rare species of plants grow in the park’s botanical garden. The other attractions of the zoo include a lake, aquarium, and aviary, night house for nocturnal animals, a toy train and a colossal sculpture of a dinosaur. The word ‘Moti’ means a ‘pearl’ and this beautiful lake justifies to its name. It is situated in the centre of the city and is a reservoir for portable water. A garden and a children’s park surrounding the lake makes it a striking tourist spot in the city. It is an ideal site for picnicking and recreational activities for kids. It is sited close to Tulsi Upvan and the famous Joota Park or Japanese Garden. This garden has tall shoe-shaped slide which attracts even the elders for enjoying it once. 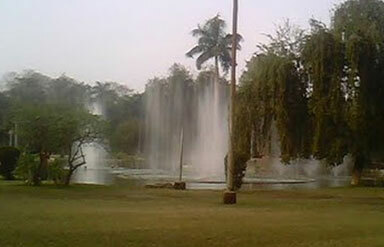 ‘Phool Bagh’ or Ganesh Vidyarthi Udyan is a picturesque park located in Mall Road. Almost all the major rallies and public meetings of the city are held in this park. A building erected in the memory famous Indian journalist Ganesh Shankar Vidyarthi stands in the centre. Even today, it serves as the venue for political meetings and gatherings. A rich public library and a summerhouse used for sitting and enjoying the weather are also present in the garden. Annual flower shows are also organised in this park. Strollers love to enjoy their morning and evening walks in this garden. 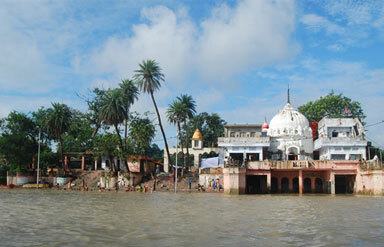 Massacre Ghat or ‘Satti Chaura Ghat’ sits at the southern bank of River Ganga. The site holds a great amount of historical importance. Nearly 300 Britishers including children were killed at this Ghat during the Indian rebellion of 1857 thus, giving it the name of Massacre Ghat. Today a white coloured temple stands at the ghat, reminding one of the tragic past that the site has witnessed. A park also sits close to the Ghat. It is called as Nana Rao Park and has the statues of great Indian freedom fighters like Tatya Tope and Lala Lajpat Rai. Bithoor (22km), Bhitargaon(32km), Lucknow(83km) and Kannauj(84km) are some of the ideal getaways to explore as mentioned in Kanpur Travel Guide. Stuff your bag with leather products when you indulge in Kanpur tourism. Beautiful bags, purses, wallets, belts, shoes and many more leather-made items are seen in the local markets. Shoppers can also purchase handicrafts, earrings, bracelets and other fashion accessories. October- March is the best time to visit as the weather is cool and pleasant. Travellers can also plan their trip during Holi festival (March) when fairs are organised in every part of the city. Air: Chaudhary Charan Singh International Airport in Lucknow is just 65km away from the destination. It receives flights from cities like Delhi, Mumbai, Varanasi and Kolkata. Rail: Kanpur Junction is a major railhead where most of the trains from north and east take a halt. It is connected to cities like Agra, Delhi and Lucknow. Road: Regular buses ply from cities like Allahabad, Lucknow, Varanasi and Kannauj for the destination. Make your holidays informative and educational. 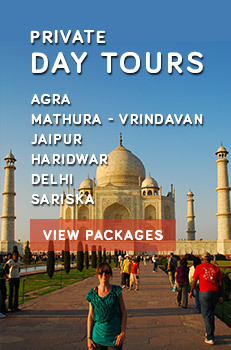 Go ahead and book for Kanpur Tour Packages and learn some unknown facts about Indian history.